Fox's "Gotham" is officially one of the network's newest dramas. According to Deadline the Batman prequel has received a series order from Fox as the network plans to roll out the series in its 2014-2015 season. "Gotham" calls itself an "origin story" for all the famous characters that populate the dark, corrupted city. 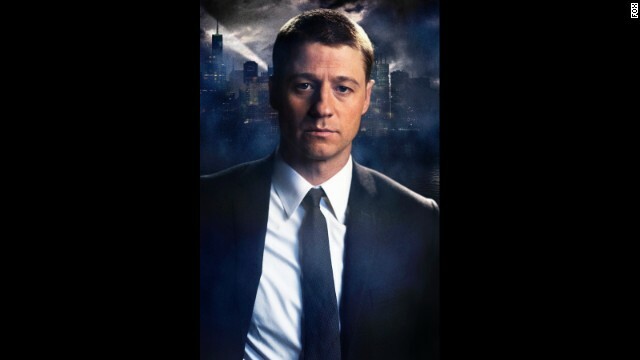 At the center of the new series is James Gordon before he made his way to Police Commissioner. Played by "The O.C. 's" Ben McKenzie, this Gordon is a newbie Gotham City detective, eager to protect the city he grew up outside of and to marry his fiancee, Barbara Kean (Erin Richards). Along with his partner, Harvey Bullock (Donal Logue), Gordon takes a high-profile case that kicks off our entrance into the world of the Caped Crusader: the murder of billionaires Thomas and Martha Wayne. They couple left behind a 12-year-old son, Bruce Wayne (David Mazouz), whom Gordon takes under his wing. Through the course of the series, we'll also meet younger versions of Batman characters like Selina Kyle (a.k.a. Catwoman), Edward Nygma (The Riddler) and Oswald Cobblepot (the Penguin), plus new ones such as Jada Pinkett Smith's gangster Fish Mooney.